In order to ensure excellence in service and customer satisfaction, Sure-Wood Flooring only uses the best flooring products from some of the most trusted names in the industry when installing, repairing or refinishing your floors and trim. No matter what optons you choose, you can rest assure that the results will meet or excede your desires. We proudly serve clients located in Bloomingdale, Roselle, Schaumburg, Medinah, Itasca, Bartlett, Carol Stream, Glen Ellyn, Wheaton and surrounding areas. Please click on the below headings to find out more! Poloplaz Primero is an incredibly fast curing polyurethane that is tougher than water bornes or moisture cures. Faster curing means that you can get back to enjoying your home in less time than other flooring finish options. Glitsa Gold Seal System is a Swedish finish that has been in development for over 40 years. Glitsa American, Inc. provides floor finishing products intended for use by professional floor contractors only. Crystal clear finish accentuates grain definition. Finish is engineered to provide maximum durability. Finish is flexible which minimizes chipping or peeling. Scratches on the surface are much less visible compared to other finishes. Drying time is minimal but takes time for alcohol base vapors to dissipate. Home owners cannot be on premises during application, drying, or dissipation period. Home owners must properly prepare and ventilate home. Flooring takes 90 days to cure completely. Seal System uses formaldehyde resin to increase strength and life of flooring. DuraSeal produces premium quality penetrating stains. Available in both traditional penetration Finish or 2 hour Quick Coat have come to know with Dura Seal. Known for unsurpassed durability, you can be sure that you made the right choice with DuraSeal flooring products. Safeglides protect beautiful floors by virtually eliminating scratching. The wool felt glides provide an excellent buffer to keep furniture moving across the floor easily. The wool felt protectors keep wood, vinyl, tile, stone, terrazzo and marble flooring looking great longer. The glides are designed for contemporary and antique wood furniture as well as wicker and rattan. Safeglides are made with a patented, nickel plated rivet. The wool felt pad is renowned for its long wearing ability. Safeglides are desgined for easy installation. Gently tap them into the bottom of your furniture using a hammer. The unique round design is safer for your furniture than nail-in types. Since 1981 OWL Hardwood Lumber Company has been Chicago’s premier supplier of quality hardwood lumber and hardwood products. We provide quality hardwood lumber, hardwood plywood and hardwood molding. We stock over forty different domestic and imported hardwoods. OWL Hardwood Lumber is the only Chicagoland lumber company to stock S4S, Red Oak, Poplar, Cherry, Maple and Birch. LOBA is the only German, medium-sized company specialising exclusively in the surface treatment of parquet and hardwood flooring. Thousands of customers trust in our experience in developing and manufacturing these products for many years. Loba EasyFinish is a high quality one-component waterborne polyurethane finish for use on high traffic residential and light traffic commercial wood floors. For heavy-traffic commercial and residential hardwood floors. 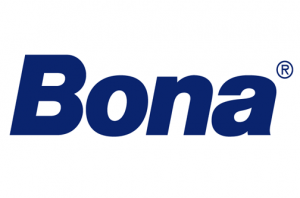 Bona Traffic provides the ultimate in durability and beauty, outperforming any finish in the industry – moisture cure, solvent-based, oil modified or other waterborne finishes. 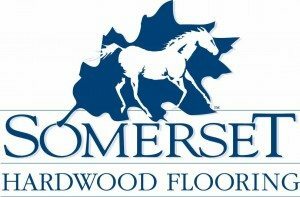 Visit the Somerset Floors page! Oshkosh relies on their artisan process, a craftsmen’s hands-on approach, to perfect products including custom medallions to floor décor elements. Each product is manufactured with a personal approach. Each pattern is made of many little pieces, strategically placed within a frame to create the design that the customer orders. From there, the wood moves on to the gluing, mounting or pre-finishing (if applicable) department and then on to shipping. All Oshkosh Designs wood medallions are sealed inside of plastic and custom packaged to protect and prevent damage during shipping.